When it comes to catering for the man on the street, direct insurers have gained much market share over the years. They’re agile because they can give customers an immediate quote over the phone and, what’s more, they’re able to offer cheaper rates because customers don’t have to pay brokerage fees. It’s often what’s driven many a broker to rather cater to corporates or dabble in commercial insurance niches. While you may feel that the direct players have some major advantages there are still a couple of benefits that brokers can bring to the table to sway business back in their direction. The key is to point these out to your customer and win them over. Here’s what you should be pointing and doing to secure more business. While direct players can provide a quote faster than you can say ‘don’t go with that insurer’, you can point out to a customer shopping around that you’ll promise to be more thorough and get them the quote they need as well as tailor one that can suit their budget. Who’s not locked their jaw in irritation as they listen to a lesser known ballad from the 80s with the words ‘You’re still on hold, but your call is important to us’? Point out that you’ll be readily available to process claims and field queries and that if direct customer will generally have to hold on for an operator only to be pinged from pillar to post before they could reach the person that has all the answers. Your customers are typically comparing quotes online. Make sure you have an online presence in the form of a functional, easily navigable website and be available on social media giving advice and tips. Be transparent with your pricing – remember customers are shopping online. You may also want to create online sessions on the likes of Facebook where current and potential customers can come to you for an hour with insurance related questions. It’s all about creating trust and showing customers that you can be as accessible as the direct players. 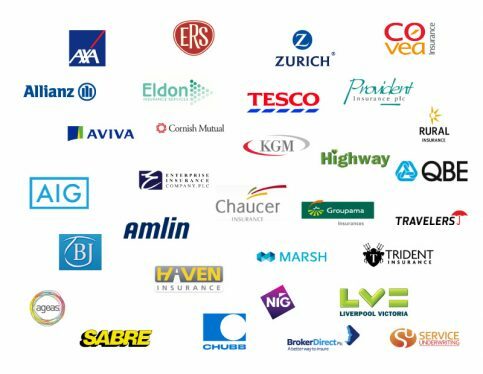 Find out if there’s any way you can collaborate with the insurers that support your business. Call centre agents may only be restricted to selling one, maybe two products. They may also be less skilled at asking the right questions to ensure that clients get the right kind of advice and cover. This is something that can be subtly pointed out. One thing that call centre agents can’t do is sit across the table from customers and engage in a meaningful, face to face conversation. While everything can be conducted online these days or through apps or on the phone some people still crave that ‘personal touch’, and the ability to have conversations about their finances with someone they can see and trust. Offer this as a service too. It’s a point of differentiation after all and may bode well for some of the older clientele who may not be as mobile or technically savvy.